The latest theory and research on understanding posttraumatic stressand its treatment, providing evidence–based clinical interventionsusing techniques drawn from positive psychology It is known that exposure to stressful and traumatic events can have severe and chronic psychological consequences. At the same time–mindful of the suffering often caused by trauma–there is also a growing body of evidence testifying to posttraumatic growth: the positive psychological changes that can result for survivors of trauma. 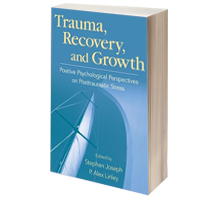 Featuring contributions by internationally renowned researchers and practitioners and edited by experts in the field of positive psychology who have worked with survivors of trauma in the facilitation of their resilience, recovery, and growth, this timely book is divided into four parts: Toward an Integrative Positive Psychology of Posttraumatic Experience Growth and Distress in Social, Community, and Interpersonal Contexts Clinical Approaches and Therapeutic Experiences of Managing Distress and Facilitating Growth Beyond the Stress–Growth Distinction: Issues at the Cutting Edge of Theory and Practice Trauma, Recovery, and Growth explores the role positive psychology can play in how clinical practitioners treat and work with survivors of stressful and traumatic events and offers an optimistic perspective in the treatment of those who suffer posttraumatic stress following devastating events such as terrorist attacks, childhood sexual abuse, cancer, and war.